Most of the time when you walk through a parking lot, you are often greeted by the appearance of islands scattered throughout overplanted with badly maintained shrubs. Last month, I drove into a parking lot that was quite unusual in that it was planted with attractive succulents and not ugly shrubs. Instead of shrubs, the medians were planted with beautiful agave specimens. In addition to different types of agave, were gopher plant (Euphorbia rigida) succulents, which added a welcome respite to the crowded and over-pruned shrubs that usually characterize most parking lots. 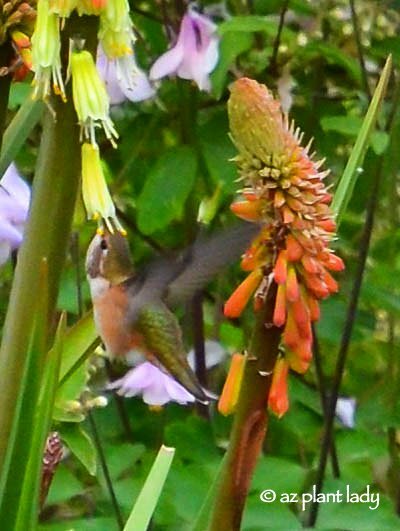 In addition to the agave and other succulents were flowering shrubs such as Baja fairy duster (Calliandra californica), which was allowed to grow into its natural shape. This parking lot was located in front of a hospital where my husband had an appointment for a routine procedure. Our walk through the parking lot took twice as long as it would normally take with me pausing every few seconds to take pictures of the plants. It was so refreshing to see succulents such as these in parking lot islands instead of struggling shrubs. They thrive in the hot, reflected heat while needing very little water. 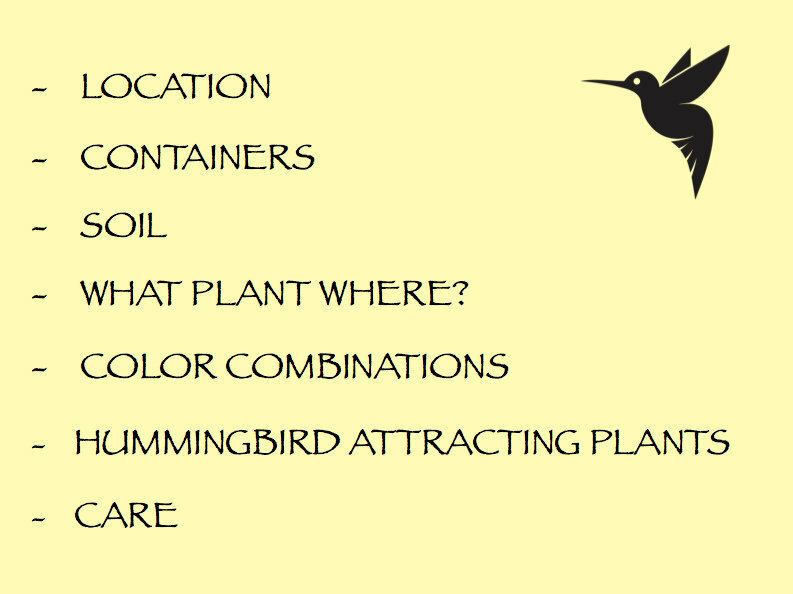 Maybe we should rethink what we plant in parking lot islands and ditch the high-maintenance, thirsty shrubs? Do you live in an area that has been affected by drought? You may be surprised at the answer. Periods of drought aren’t uncommon for those of us who live in the Western United States, but more recently drought has expanded to some other areas that may surprise you. 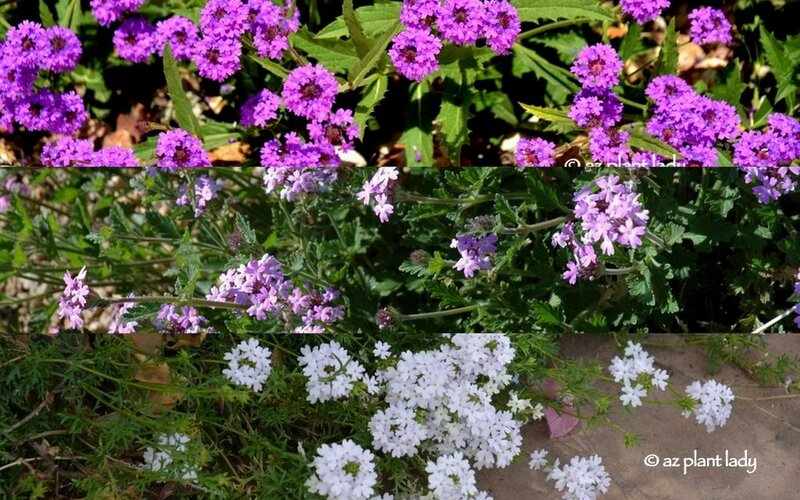 Drought tolerant gardening is rapidly becoming a very popular way to garden. Contrary to what some people may think, drought tolerant gardens are low-maintenance, easy to care for, use far less resources and can be beautiful. Drought tolerant gardens are a great choice for any landscape because they are much more self-sufficient and sustainable than other landscapes. Even if drought has not affected your area, that doesn’t mean that it won’t in the future. *This week, I will be doing a series of radio interviews about drought tolerant gardening for radio stations in Oregon, Texas and Alabama. Agave, saguaro, wildflowers and yucca. 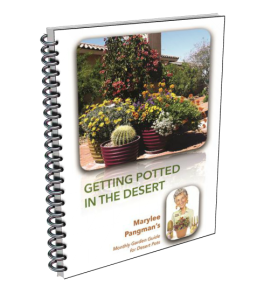 No matter if you live in California where many areas are experiencing exceptional drought, the Southwest or wherever you live, the principles of drought tolerant gardening are the same. 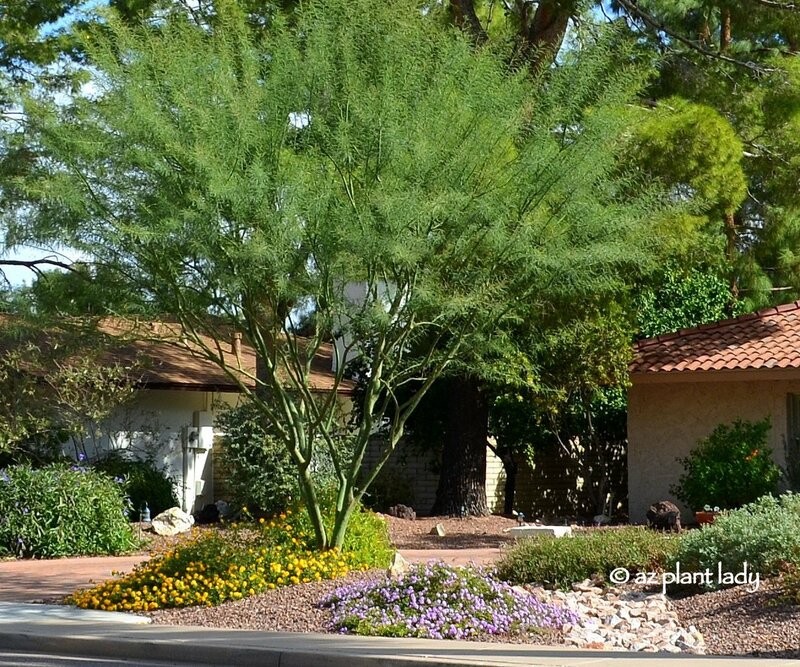 Landscape filled with drought tolerant plants and limited amount of grass. 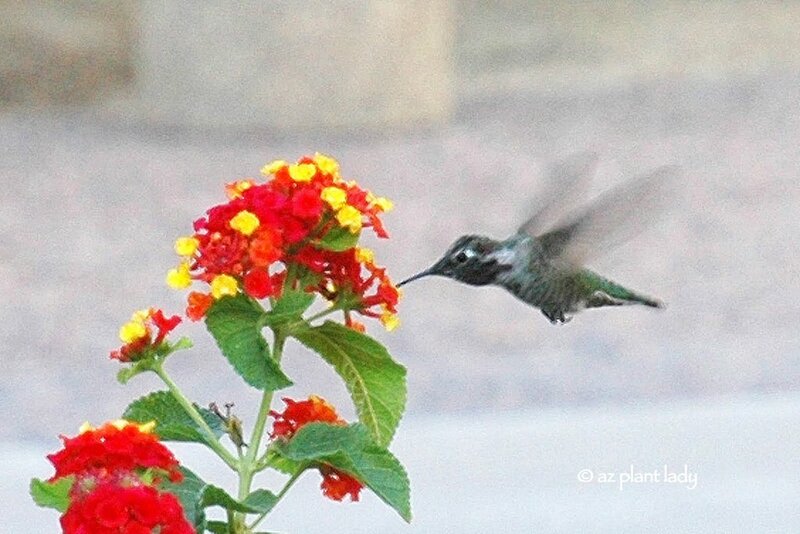 I recently shared 10 tips for drought tolerant gardens in an article for Birds & Blooms where I serve as the garden blogger, which you can read here. 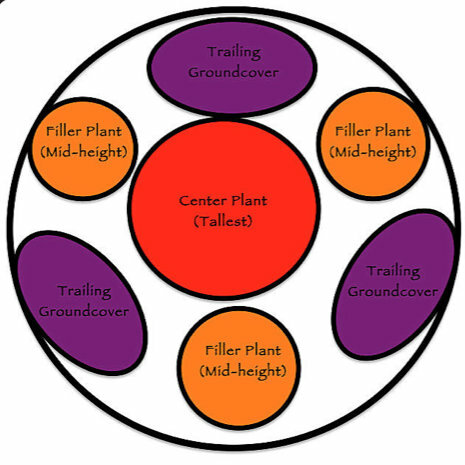 Whether you implement 1 or all of the 10 tips, you will be increasing the sustainability of your landscape. 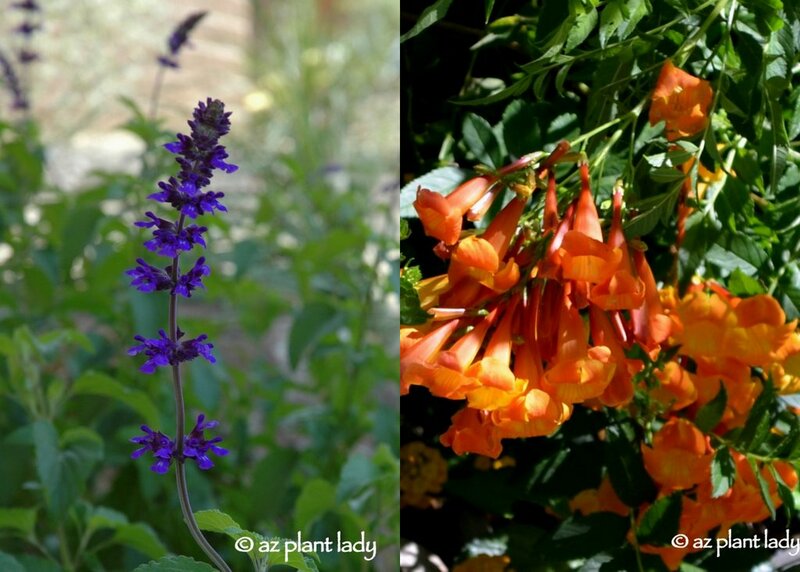 I encourage you to take a little time to read the 10 tips and then come back later this week, when I will share with some of my favorite drought tolerant plants. 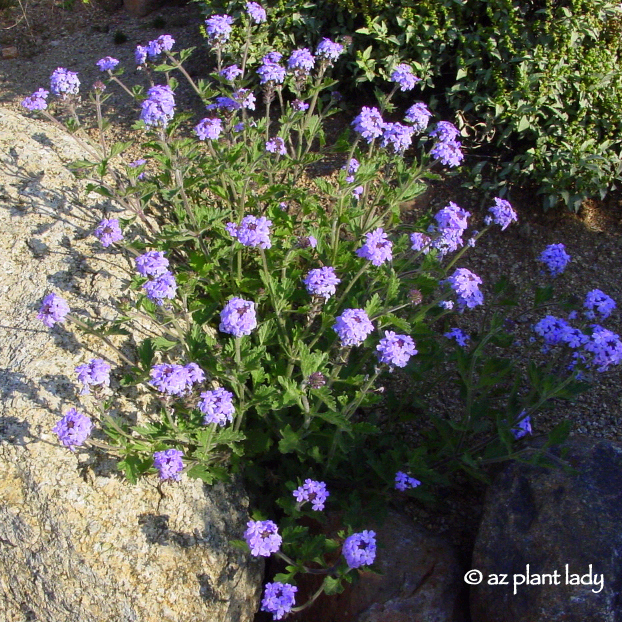 For more information on drought tolerant gardening, click here. 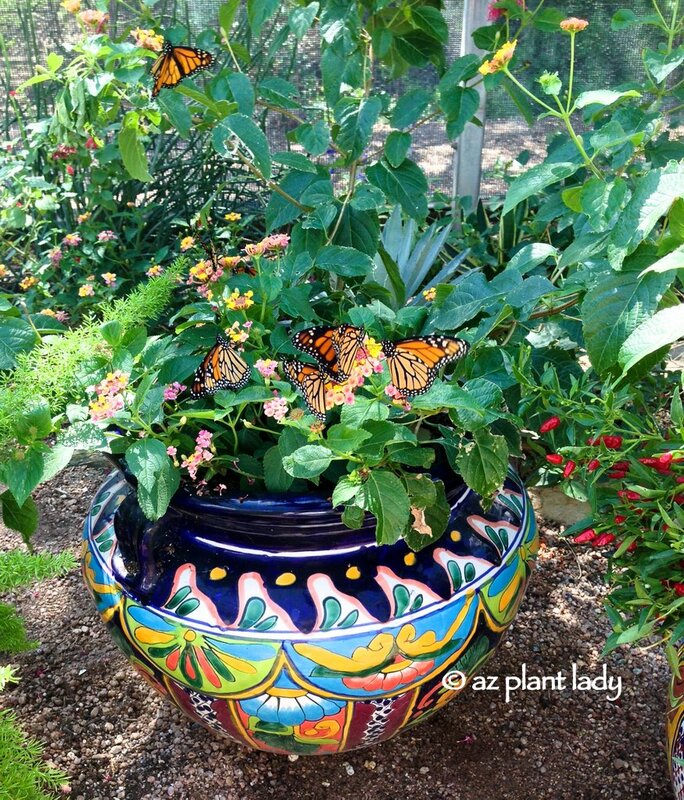 What kind of containers do you have planted in your garden? Are they terra-cotta, glazed or plastic? Do you have any unique containers? I like seeing plants that have been planted in unusual containers. So this week, I will be sharing with you some of my favorites that I have seen on my travels throughout the United States. Today’s unique container comes from Tennessee. Have you ever seen a trash can used as a container for plants? On a visit to the University of Tennessee Gardens, I visited their wonderful kitchen garden, which was filled with surprises and I came away inspired. You can read more about my visit to these gardens and see some more pictures of these ‘trashy’ containers, here. See you again tomorrow, when I’ll show you another unique planter that has 4 sets of tires. Today was spent driving from Wisconsin, over the Mississippi River into southeastern Minnesota. Bridge over the Mississippi River toward Minnesota. *Cell phone + dirty windshield = grainy photo. You know how people who haven’t lived near the ocean, find it fascinating when they get the chance to visit? I think it is somewhat the same for me in regards to seeing the Mississippi River. The immense size of the river is amazing. This is the third time that I have seen the Mississippi River and it is still something that I always look forward to. We arrived into the town of Winona, Minnesota – we drove up to Garvin Heights, where a path leads from the parking lot to a viewing point located over 500 ft. above the river and the city. Off in the distance, you can see the bridge that we drove over, which connects Wisconsin to Minnesota. My mother has been enjoying her first smartphone. During our trip, she had taken multiple pictures of me taking photos of plants and/or scenery. During the first part of our day, we spent some time shopping for antiques. My mother loves antiques and I like to find old pieces that I can use as planters in my garden. In the Midwest and Eastern regions of the US, antiques are a lot less expensive then in the west – so we like to take advantage of nice antique stores when we can. I found a large, old coffee pot (the kind they would use in a chuck wagon for a lot of people) that I plan on using for a flower planter in my smaller vegetable garden. You may be wondering how I am going to get my coffee pot home. Well, that leads to a tradition that my mother and I started during our first road trip 3 years ago. We wait until the last day of our trip and then go to a local UPS store and send our souvenirs home. It makes our life much simpler and we have less to carry in our suitcases. Another grainy cell phone photo taken through the windshield. As we headed toward the southeastern corner of Minnesota, we found ourselves alone on country highways for long lengths of time. Not that I’m complaining about the absence of vehicles. I’m sure that after spending a day or two at home that I’ll be wishing for fewer cars on the road. The weather during our trip has been very nice. There was some rain, which fell during the night, so it did not affect our activities. Our day’s journey ended in Lanesboro, Minnesota, which has been the recipient of the Great American Main Street Award. Lanesboro, is located close to Amish communities and we have seen some Amish folk during our travels today. The main street is lined with historic buildings that have been transformed into trendy shops and eateries. Unlike many Amish communities that I’ve visited in the past, Lanesboro has upscale, trendy shops, which I really enjoyed visiting, instead of shops stocked full of Amish souvenirs. A few of the shops had a combination of both new and old things, like this old antique that was transformed into a planter. This shop had an interesting planter with a galvanized pipe with flowers sitting in a dish planted with real grass. A variety of succulents were displayed with old, wooden boxes. This alleyway was filled with plants and antiques, which I love. One interesting observation about our travels this day is the popularity of rhubarb. It was planted along the main street. Rhubarb ice cream was also available in many of the shops. I bet you didn’t know that rhubarb was so popular did you? I admit that I didn’t try the rhubarb ice cream flavor. I went for salted caramel crunch – yum! Remember the cheese curds that I tried on day 5 of our road trip? They are everywhere. I usually see them offered fried. As our trip draws towards its end, here are a few observations in contrast to living in California and Arizona (places that I’ve lived). – In almost every restaurant, Coke products aren’t offered – Pepsi is the drink of choice. – In all of our driving, we have only seen one highway patrol car (in CA and AZ you often see one every few minutes). – Starbucks is a huge favorite of my mother and during our road trips, we usually make at least one stop there each day. On this trip, we have hardly seen any Starbucks stores. But, there have been quite a few other coffee shops, including independent ones. Tomorrow, we will fly home in the evening from Minneapolis. My husband has been wonderful taking care of the kids and house while I’ve been gone. My 12-year-old son posted this picture of his dinner the other night, which consists of french fries, cheddar cheese and bacon. I told my kids that I have quite a few dinners planned when I get home that will have lots of ‘greens’ in them. 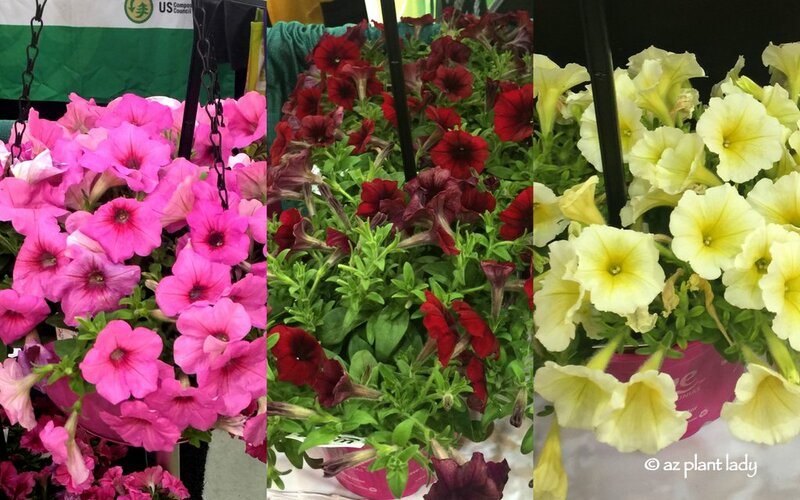 *Tomorrow, we will spend the day in Minneapolis and I’m looking forward to visiting my friend and fellow garden blogger, Amy of Get Busy Gardening. I can’t wait to see her and her garden. I’ll be sure to share my visit with you!